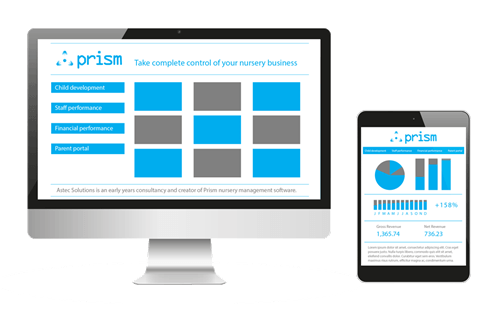 If you manage a nursery business, you know the importance of keeping control of your customer accounts. Unfortunately, it’s likely to be one of your most time-consuming duties – particularly if you’re relying on paperwork to keep track of things. Tasks that should be simple, such as checking account history and debtors, take up far too much time – regardless of how close to the filing cabinet your desk is. Every month, you have to write up invoices for all of your customers and then chase payments too. You can also expect a few phone calls from parents questioning where they stand. Keeping on top of that is a full time job in itself. So, where do you find the time to do important things, like focusing on childcare quality? With Prism, it doesn’t have to be this way! Automatic invoicing: put away your calculator! Prism helps you take complete control of your customer accounts by automating as much of the work as possible, including billing parents. That’s right: you’ll never have to write an invoice again. Prism automatically invoices your parents at a time of your choosing and according to the schedules you create. The powerful technology does all the number crunching for you and takes into account all the discounts, childcare vouchers, NEF payments and so on. Even if you’re upgrading to Prism from a spreadsheet, you’ll spend far less time inputting data and you’ll get much more accurate results. In short, you can confidently retire your calculator – you no longer need it! With instant access to customer accounts and payment history, there’ll be no more rummaging through files to find out who’s paid what and when. Overdue fees are automatically highlighted and easy-to-read reports indicate all the patterns that affect your cash flow. Your parents each have different payment schedules and methods: some pay at the beginning of the month, some at the end; some with vouchers, some in cash. Prism allows you to access this information instantly, so you’ll immediately know when a parent is behind and if it’s appropriate to chase them and, importantly, how forcefully you should do so. When you know the patterns that impact your cash flow, you can manage your business and your debtors more effectively while maintaining positive relationships with parents. Parents can also log in to Prism’s unique Parent Portal to take control of their own account. They’ll know exactly where they stand because they can access payment history, payment schedules and past invoices. So, you you’ll receive fewer enquiries and – if you do need to have any difficult discussions about finances – there won’t be any surprises. 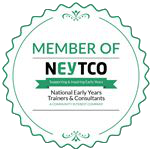 By empowering parents, you can take pressure off your team and enable them to focus on the work that helps you to make money: delivering high quality childcare.